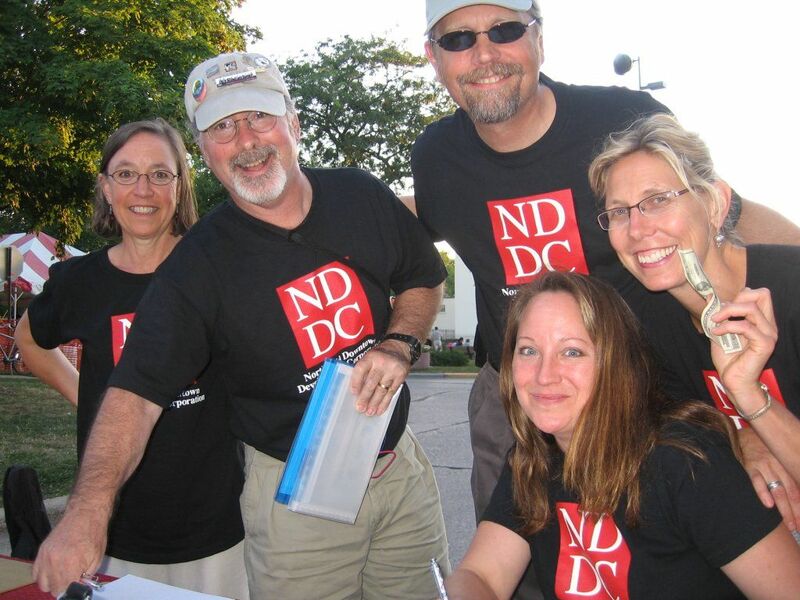 The Board of Directors of the Northfield Downtown Development Corporation (NDDC) is pleased to announce that it has surpassed the goal amount of its 2007 Partnership Campaign, an annual fundraising drive. The final tally was slightly more than $32,000 (in cash receipts), the best result in the organization’s history. “The financial support of Northfield building owners, business owners and citizen donors for the NDDC continues to grow each year and for that we are grateful,” according to Joe Grundhoefer, 2007 Partnership Campaign co-chair and Vice President of the NDDC. Grundhoefer, owner of J. Grundy’s Rueb’n’Stein, noted that Partnership funds will be used to further the mission of the NDDC, which is modeled after the Four Points of the Main Street Program of the National Trust for Historic Preservation. The Four Points are Organization, Promotion, Design and Economic Restructuring. Organization involves assembling the appropriate resources to maintain a strong downtown program. Promotion encourages consumers and investors to live, work, shop, play and invest in downtown Northfield. Design means working to get downtown Northfield into top physical shape. Economic Restructuring strengthens downtown’s existing economic assets while expanding and diversifying its economic base. The 2007 NDDC Partnership Campaign was co-chaired by Anastasia Balfany, NDDC board member and owner of The Market, an antiques retailer formally located on Division Street. 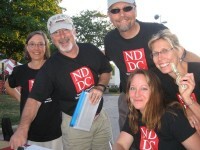 Anastasia and Joe were assisted in the fundraising by the entire 12-member NDDC Board of Directors. To learn more about the NDDC, its mission and recent activities, visit nddc.org or call 663-0319.